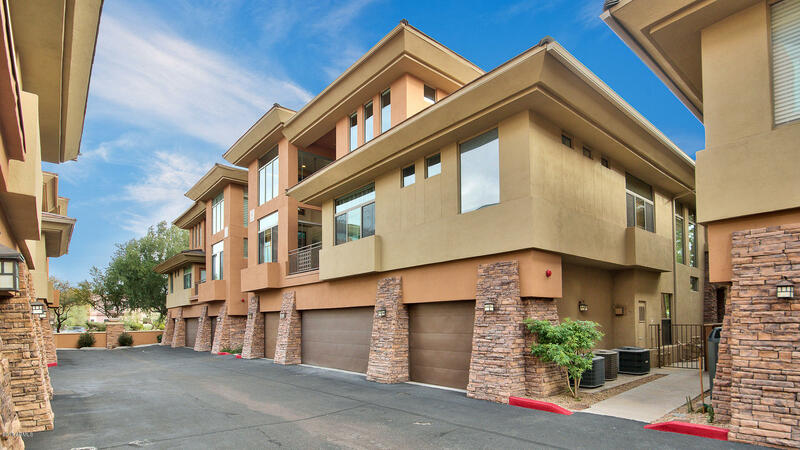 All ASTRAGAL CONDOMINIUM AMD homes currently listed for sale in Scottsdale as of 04/23/2019 are shown below. You can change the search criteria at any time by pressing the 'Change Search' button below. "Fully furnished pristine Scottsdale townhouse with a hard to find 2 car garage(epoxy coated floor). Largest floor plan in the community. Ground floor master bedroom features a master bathroom with separate shower and jacuzzi tub, and double sinks. Living area includes a 20' high ceiling and gas fireplace creating a spacious gathering area that is adjacent to a well appointed kitchen with granite counter tops, wall oven, gas cook top, built in microwave, and refrigerator that stays. 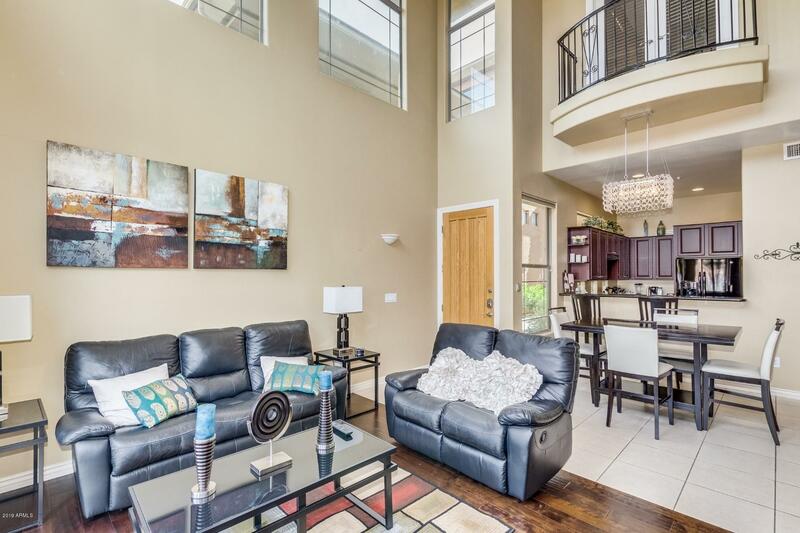 And the washe"
"Stunning 2 bedroom 2 bath Condo nestled in the quiet and gated community of ASTRAGAL, one of Scottsdale's premier Townhome communities. This beautiful home features 25 Foot soaring ceilings, floor to ceiling windows & gas fireplace. Durable real hardwood flooring, spacious Master Suite with huge walk in closets. The second story features a huge utility loft, perfect as office or optional children's play area. Enjoy a Chefs Kitchen with gas range. This is one of the few townhomes with a private p"
"Price reduction $325,900. 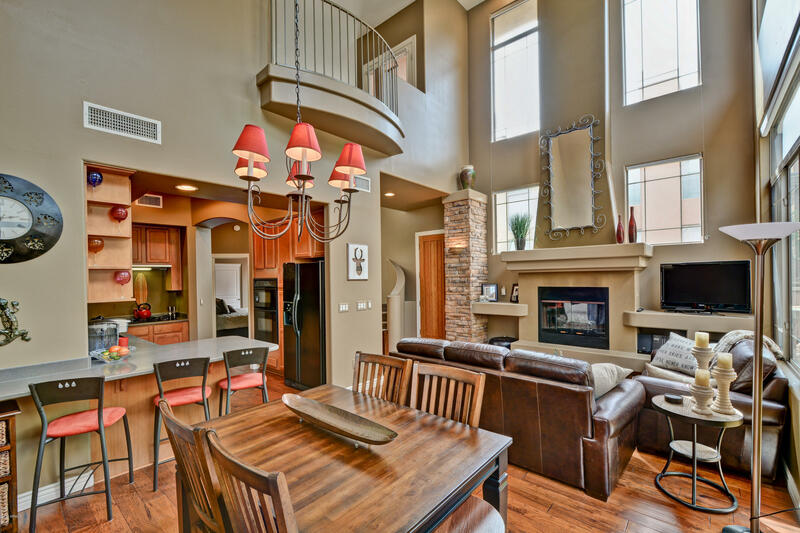 Stunning 2 Bed/2 Bath 1 car garage Townhome in Scottsdale! Vaulted Ceilings, Master on main floor, and guest bed/Bath on 3rd floor for privacy. The loft area has beautiful mountain views. The open floor plan with high ceilings offers an abundance of natural light with stunning architectural lines and windows. The location has easy access to the 101 for commuting, walking distance to dining and grocery stores, minutes from luxury retail shopping and golf! Improvements: N"